In the previous installment of this series, Hollywood Gothique sampled some professional haunted houses at this past weekend's ScareLA convention; in this follow-up, we turn our attention to amateur Halloween events. Thanks to ScareLA, Hollywood Gothique is now aware of several yard haunts in Los Angeles and the surrounding area that had never before blipped on our sonar. (You would think that, being creatures of the night, we would have echo-location on par with bats; alas, no.) We also learned a tantalizing tidbit or two about an old favorite. Those eager to learn the details should read on - if you dare! 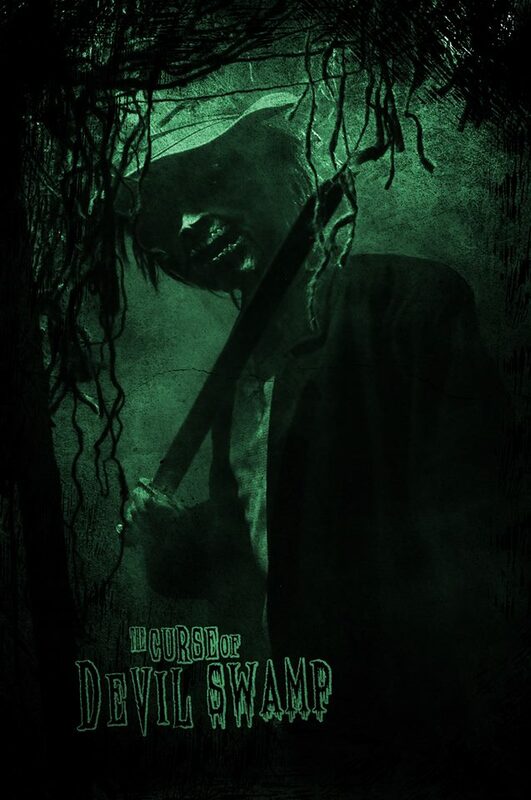 Curse of the Devil Swamp is a new interactive home haunt that will be manifesting in Covina for Halloween 2014. 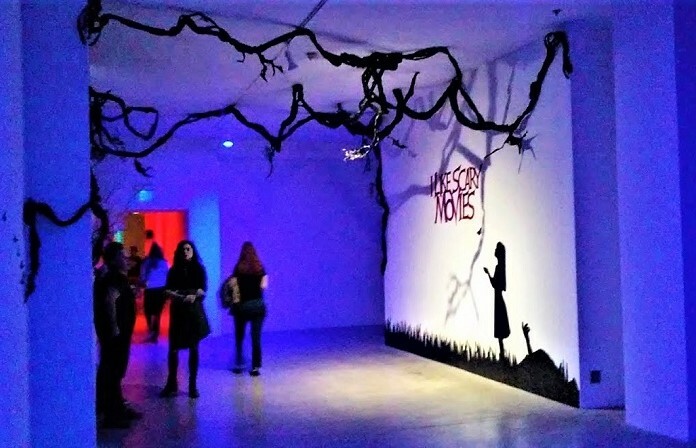 This was the best of the free mini-mazes at the convention and one of the few that felt as if it gave a decent preview of the full-scale haunt. The walk-through began with a nicely decorated set, suggesting a room in a decrepit house, with some atmospheric lighting and sound effects to set the mood. An actor in mask and costume lip-synced to a pre-recorded monologue; the amplified recording was a bit difficult to understand, and the lip-synch was not always spot on, but the scene effectively set the stage for what was to come, culminating in a nice gag with a body seen hanging through a window. After that, visitors took a short walk through the Devil Swamp - a camo-netted corridor with masked monsters lurking within. Hollywood Gothique definitely plans to take this complete tour of the Devil Swamp this October. Learn more at their website. 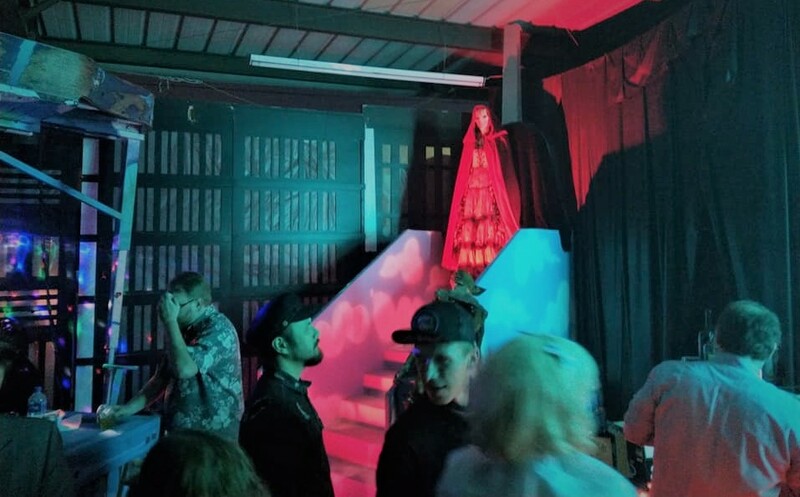 Perdition Home, which bills itself as "Orange County's Goriest Home Haunt," offered a couple of rooms filled with eviscerated bodies and electric firecrackers for a jolting effect. From the brief walk-through it would have been difficult to extrapolate what the full haunt would be like; fortunately, a slideshow presentation at one of the haunt panels that afternoon depicted something rather elaborate and ghastly, along the lines of the Backwoods Maze in Burbank. Gore lovers should seriously consider making the trip out to Yorba Linda this Halloween. This will be Perdition Home's fifth season of haunting. You can get details here. Mystic Motel in Orange County is one other home haunt that piqued Hollywood Gothique's interest. Though the amateur attraction did not offer a mini-maze at ScareLA, it was represented on a home haunts panel hosted by Rick West of Theme Park Adventure. There we learned that Mystic Motel made its debut in Halloween 2013 as a 38-second "dark ride" inside a garage, complete with a mobility scooter adapted to run on a track. Originally intended as fun for family and friends, the ride's depiction of a trip through the basement of a haunted hotel became so elaborate that creator Scott D'Avanzo decided to open it to the public. For Halloween 2014, the plan is not only to expand the ride but to add a walk-through maze of the hotel itself, creating a ten-minute experience (if the haunt's Kickstarter campaign pays off). Keep up to date by checking out www.mysticmotel.com. 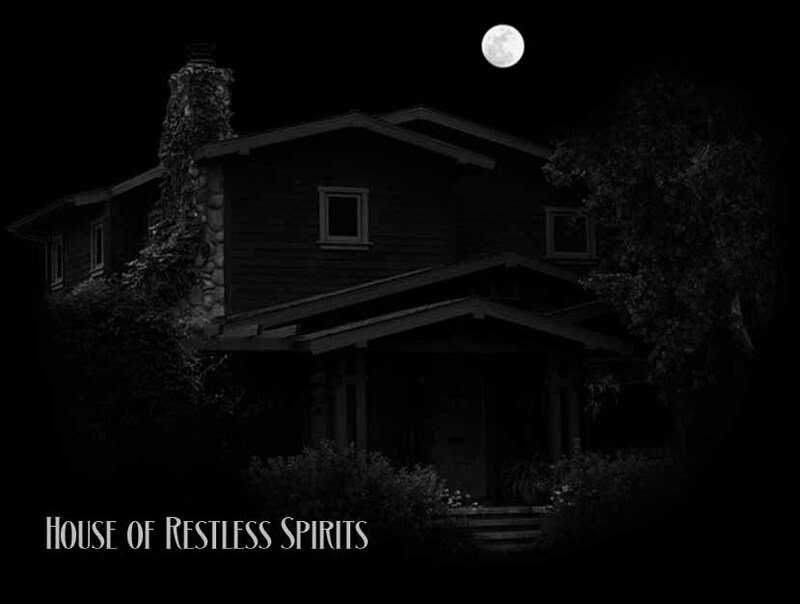 Finally, we received an ectoplasmic comminque from beyond the grave regarding our old favorite, The House of Restless Spirits, which will re-materialize in Santa Monica this October. Two of our favorite spectral phenomena from last year - the Ghost Cat atop the House the Haunted Mirror inside the house and the Spooky Sundial in the front yard - will be upgraded, and there is one new manifestation planned that sounds simply outstanding. Unfortunately for you - and we hate to do this, really! - ghost wrangler Eric Maurin asked that we not betray the spirit's secret, leaving it for you to discover during you sojourn. Among the very best yard haunts in Los Angeles, House of Restless Spirits remains consistentfrom year to year, upgrading and expanding incrementally, but this new bit of paranormal (inter) activity sounds worth a return visit this October. We will be back later with video of our ScareLA panel, Graveyards, Mansions & Ships: L.A.'s Unique Halloween Event Locations, but for now it's time to start making plans and marking your calendars. Halloween 2014 is going to be great!